The survey results and additional detail are linked below. In total, we received 90 survey responses. Of the 90 responses, 67 were identified as downtown business owners, 11 as non-business owners, and 12 as unidentified. The summary information is broken down according to the aforementioned groups. The chart and graph information is generated by the survey system and contains all responses. 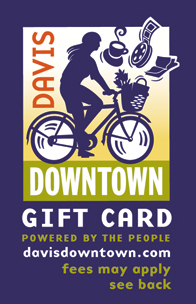 If you have any additional questions about the survey or the responses please feel free to contact Davis Downtown at info@davisdowntown.com.